Hiss! and Pop! snap the firecrackers. Boom! says the drum to the Lion Dancer. Chinese New Year is here! 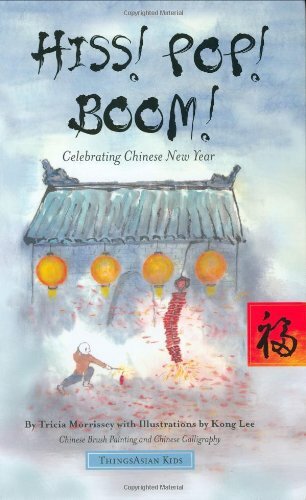 Beautiful Chinese brush painting and elegant calligraphy illustrate each moment of the New Year celebration. Share the traditions with your child, and learn a few new things too!